PUBLICLY accessible defibrillators would be rolled out across high-priority areas of the northern beaches as part of a campaign to improve survival chances of heart attack victims. Frenchs Forest resident Duncan Kerr, a paramedic of 10 years, has urged Northern Beaches Council to explore the possibility of putting 24-hour public-access defibrillators in high-traffic areas. 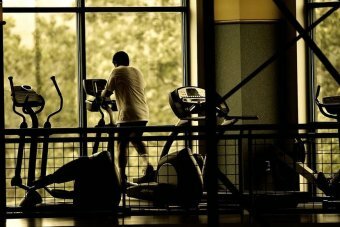 He highlighted areas such as The Corso at Manly, Warringah Mall and high-use sporting fields as key spots. Mr Kerr said defibrillators were often hard to access as they are usually locked away inside sport clubs. A public access defibrillator could be installed in Manly Corso. Picture: David Swift. “These are public-access defibrillators, which means anyone can use, ” he said. The former Warringah councillor and member of the Cardiac Arrest Survival Foundation, pointed to the peninsula’s only device of that calibre, which has been installed at Cromer Park. “It is a big deal, especially at night or if you are just out walking the dog and no one else is around and something happens,” he said. At last week’s Northern Beaches Council meeting, infrastructure general manager Ben Taylor agreed to look into the proposal. Northern Beaches Council infrastructure general manager Ben Taylor. Picture: Troy Snook. He said the council would “see if external funding from the Office of Sport and Recreation was available”, but would also look at the council’s budget. Mr Kerr, who plans to run for the Northern Beaches Council, said he would be pushing this as a major policy issue ahead of the September 9 election. First aid and CPR learnt at school saves Lives. Judd Greenham was playing in a Port Douglas resort pool while on a family holiday when he saw Matthew Sagar slip on a step, hit his head and fall unconscious to the bottom of the pool. Although there were five adults watching over the shallow pool about noon on September 30, it happened so quickly that Judd was the only person to see the incident. St John Ambulance had visited Judd’s grade 2 class at Sacred Heart Primary School in Newport as part of its first aid in schools program in May. Judd said his pool safety training kicked in and he began to practice what he’d been taught. Judd then called his mother, Natasha, who phoned an ambulance as Matthew’s father jumped in the pool. Paramedics arrived and Matthew slowly regained consciousness as Judd stood over him repeating questions he learnt at school, such as “how many fingers am I holding up”? The first aid program’s manager, Martin Wells, said the training had given Judd the confidence to act quickly to save Matthew’s life. “He was five seconds away from being dead,” he said. Mr Wells said once water entered a child’s lungs, there was a 90 per cent chance of death at the poolside. If paramedics were able to revive the child, there was still only a 2 per cent survival rate in hospital. “We’re talking about a couple of seconds between life and death,” he said. Mr Wells said it showed how important it was for all members of the public to learn first aid. Matthew’s father, Peter Sagar, said the Strathmore family was “very fortunate” no water had entered the boy’s lungs. Ms Greenham said she was “completely overwhelmed” and planned to take her son to SeaWorld to swim with dolphins as a reward. Judd remained humble about his actions but said he was “very proud” of his efforts and wanted to learn more first aid. Book an online CPR or First Aid course at the Dee Why RSL and get yourself trained for Summer. Simple Instruction is a Northern Beaches First Aid provider that gives back to the local community and schools. In 2015, Narrabeen Sports High School Students will all receive a CPR certificate as part of the PDHPE program. (HLTAID004) What skills and knowledge will I get from this course? Training for an Anapen?? First Aid and CPR courses available. How do I use the Anapen®? There are 4 main steps. REMOVE Anapen and DO NOT touch needle. Massage injection site for 10 seconds. The needle does not retract completely and may cause a needle stick injury. The used Anapen may be placed in a suitable plastic container. What should I do after giving the Anapen®? You should always call an ambulance even if the Anapen® relieves symptoms. Your action plan for anaphylaxis provides the phone number. When an Anapen® has been used the patient should remain under medical observation for at least 4-6 hours after the symptoms have resolved. This is great information for the use of Anapen’s. Simple Instruction has been conducting Apply First Aid (Senior First Aid) courses showing how the use an Anapen if anaphylaxis occurs. If you would like to come to one of Simple Instruction’s courses on the Northern Beaches or would like to book a Private course, we would love to hear from you. I hope you have enjoyed this information from the Children’s Hospital at Westmead and if you would like any more great information see their website @ www.wch.edu.au . Northern Beaches, Sydney, one day First Aid course. DRSABCD – CPR guidelines have changed. Any attempt at CPR is better than none at all ! 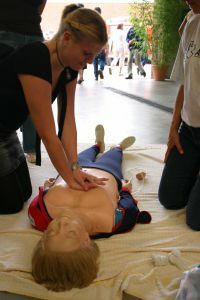 17/03/2011- Revised national resuscitation guidelines highlight the need to get help as soon as possible, perform compressions before ventilations and give quality cardio-pulmonary resuscitation. “Ventilation remains an important part of the resuscitation process and if people are trained and competent in resuscitation they should do conventional CPR, which involves both ventilation and compression,” he said. “If people are unwilling or unable to do ventilations, they should at least do chest compressions. The bottom line is that any CPR is better than no CPR at all. “The conference will provide a great opportunity for those at all levels involved in resuscitation to hear leading international and Australian speakers discuss resuscitation guidelines and the evidence behind them,” he said. A registered nurse who became a paramedic before moving into academia, Professor Jacobs’ research is in emergency medicine, resuscitation and pre-hospital care. If you would like to get trained in CPR or First Aid come to one of Simple Instruction’s training courses which are being held most weekends on the beautiful Northern Beaches at The Brookvale Hotel / Pub. The Apply (Senior) First Aid course is conducted from 10am to 4pm and The Perform CPR refresher course is being conducted on the same day from 1pm to 3pm. Remember any attempt is better than not attempt at all. Get trained today by giving Ian a call on – 0411 557 405 or email [email protected] . TREACHEROUS surf conditions across the NSW coast resulted in the biggest number of spinal injuries in one weekend that the northern beaches has seen in over a decade. Waves up to three metres high with wave periods of 14 to 16 seconds, as a result of tropical cyclone Vania, indicated a powerful swell that forced lifesavers to close some of the area’s beaches. “In the last 10 to 15 years we haven’t had that number of spinal injuries in one weekend,” assistant director of rescue services Richard Andjelkovic said. On Sunday afternoon alone there were two spinal injuries at both Bilgola and Narrabeen and one at Queenscliff, duty officer Doug Lucas said. The most serious was a 38-year-old man who had to be airlifted and transported to Royal North Shore Hospital after he went over the top of a wave while body-boarding and crashed into a sand bank, hitting his neck. “He couldn’t feel anything from the waist down and was in a huge amount of pain,” Mr Lucas said. The extent of the man’s injuries are yet to be confirmed. The youngest victim, a 14-year-old male, was also rushed to hospital after diving headfirst into a sandbank at Long Reef Beach. “People need to take it day by day and listen to what the lifeguards recommend, otherwise you wait for injuries to happen,” Mr Lucas said. Yesterday, lifeguards were forced to temporarily shut all Pittwater, Manly and Warringah beaches except for Freshwater and Collaroy. Would you know what to do in an emergency situation? Simple Instruction conducts Apply First Aid (formerly Senior First Aid) and Perform CPR courses every fortnight at the Brookvale Hotel on the Northern Beaches Sydney. Come along and get trained, as you never know when you will be in the situation to use your training and emergency care skills. Course dates for 2011 are available by looking on the contact us / book a course part of the website.